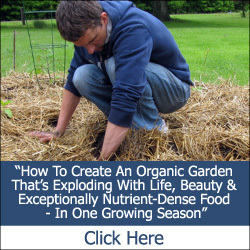 Have you ever tried growing a superfood garden? If not, here’s how, and why you should! 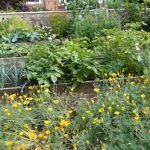 You’ve probably heard a lot about the importance of organic and sustainable gardening for the environment, as well as your health, but have you ever thought about growing a “superfood” garden? If you’re wondering, “what the heck is a superfood garden,” you’re in luck, as that’s what I’m going to share with you today! There are lots of different types of “super foods” out there, and many veggies are, indeed, powerhouses of nutrition. 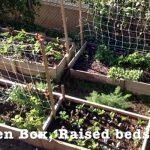 However, some gardeners choose to go beyond just growing a random assortment of vegetables, and choose to grow certain vegetables specifically for their nutrient-dense properties. After all, all truly healthy diets start with nutrient dense fruits and vegetables. 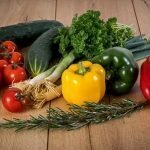 Whether you are vegan, vegetarian, paleo, gluten free, GAPS, South Beach, or something else, all these great diet plans have nutrient dense fruits and vegetables at the core. A common theme is for these diets to eliminate the processed food and refined carbohydrates and increase the intake of nutrient dense fruits and vegetables. 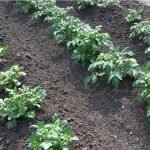 But how you grow your food can impact their nutrient content. For example, many fruits and vegetables found in the supermarket may look pretty and colorful, but are highly deficient in nutrients due to being grown in nutritionally depleted soils and fed with chemical fertilizers. When you grow your own food, you can have more control over how nutritious they really are. For example, you could grow food according to Dr. Terry Wahls study of how to get the best combination of nutrients from our foods. Dr. Wahls recommends 9 cups of vegetables and colorful fruits each day. She recommends 3 cups of leafy greens, 3 cups of sulfur-rich vegetables and 3 cups of color rich fruits and vegetables. To be able to afford lots of nutrient dense organic foods or just to be able to find the best sources can be tricky. 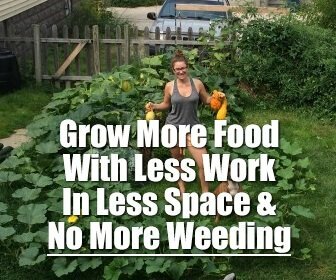 But it’s not hard if you are growing it yourself! 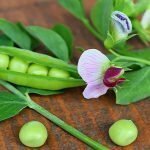 This superfood garden plan is in honor of Dr. Terry Wahls work and also to help you grow the a more nutrient balanced vegetable garden. 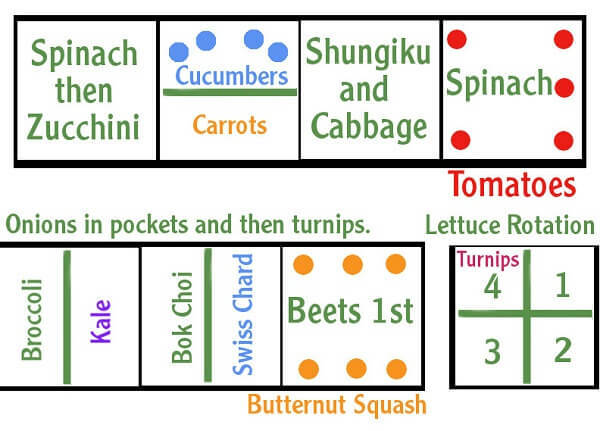 This sample superfood garden plan includes ⅓ leafy greens, ⅓ color vegetables and ⅓ sulfur rich vegetables. Here is a picture of how the plan could look. Please note that some of these plants could be moved around and be planted in succession to get the best harvest all year long. 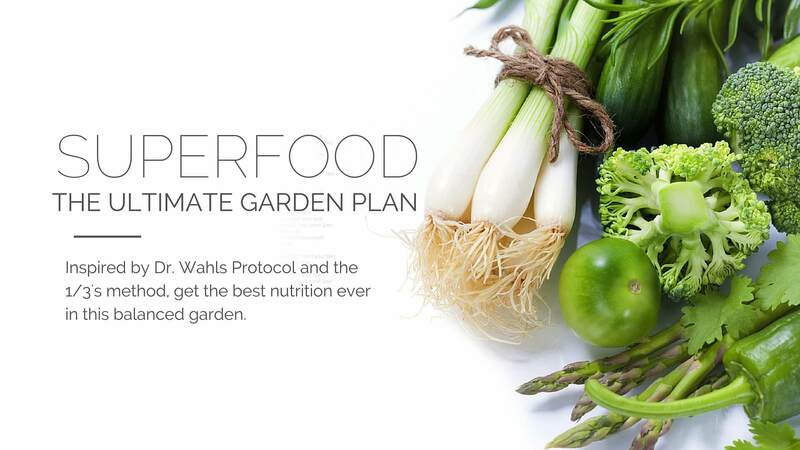 I would encourage you to give this healthy, superfood garden plan a try! No matter what diet you eat, this is a great garden idea for providing lots of super-healthy veggies for your family. To see an example of this garden plan in action, sign up for the free weekly High Performance Garden Show! 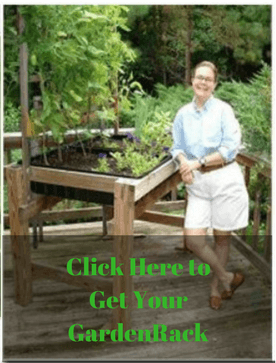 This is a real-time gardening show that will follow an expert gardener on a superfood gardening adventure throughout this growing season. Just click the link below to get access to this incredible show for free.